This silky rayon shawl is handwoven by our partner artisan cooperatives in Guatemala. It is handwoven on the back-strap loom, an indigenous women's art form. 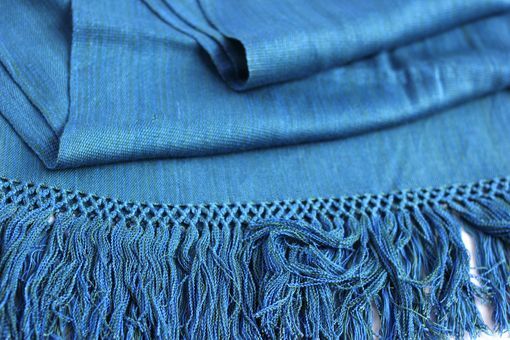 Not only is this shawl 100% artisanal but it is also Fair Trade verified, ensuring that your purchase is supporting women artisans through fair job opportunities as well as through social programs that we fund using profits from our sales. 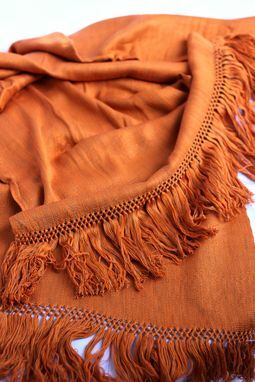 This shawl measures 18in x 80in.